Forget about old-fashioned handsaws. You won’t likely use them on any beehive projects. They’re slow going, tiresome to use, and simply not precise enough for the task. Accuracy is important when assembling the boxes that become your hives. And for accuracy, nothing can compete with power saws. 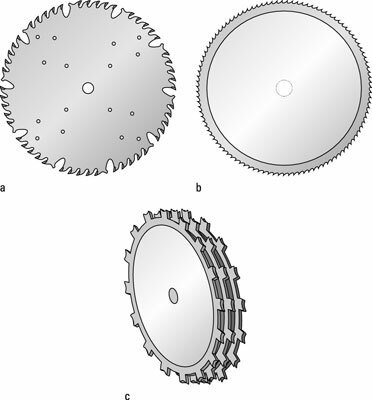 For most projects, you need only two kinds of power saws and a small collection of blades. Circular saw: Sometimes called a Skilsaw (named for the company that invented it), this hand-held power tool is lightweight and easy to control. You can change out blades to accommodate whatever material you’re cutting through. Technically speaking, a skilled woodworker could use a circular saw for most of the builds and joinery cuts. But many much prefer using a table saw for almost all the cuts. Reserve your circular saw not for making precise cuts but for quickly trimming large sheets or long boards of lumber down to more manageable sizes. In all likelihood, you can get by with only a combination blade for your circular saw. A circular saw is handy for trimming larger pieces of lumber down to more manageable sizes. Table saw: If you don’t have a table saw, invest in one for your beehive projects. When building beehives, you use this tool more than any other. 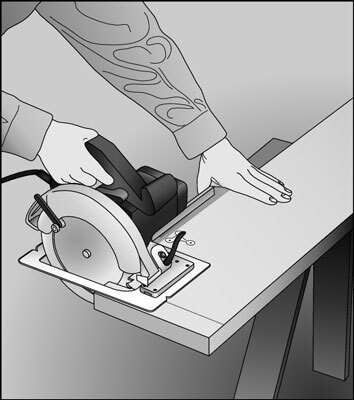 For making straight and precise cuts, a table saw is much easier to work with than a circular saw. And it’s irreplaceable when it comes to making rabbet cuts and dado joints. Table saw blades are interchangeable depending on the task at hand. You can buy a decent table saw for less than $300. You do have other options — you can use chisels and hand saws and circular saws to accomplish some of the same objectives. But some of these options require advanced skills in woodworking. Keep it simple. 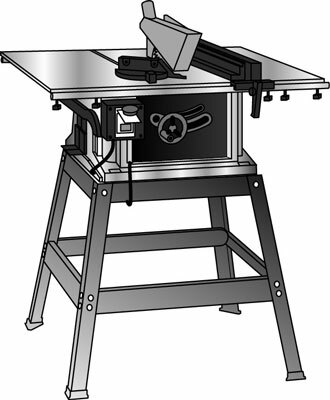 You can use the table saw for every plan, cut, and joinery you’re likely to come across. You’ll wonder how you ever did without one. Having a table saw is a huge benefit when it comes to building beehives. Table saw blades: You need a few different types of blades for your table saw, each having a specific purpose. Invest in good-quality carbide blades; they hold their edge longer and are safer and easier to work with (a sharper blade means less effort on your part). You use three blade types for your table saw: (a) combination saw blade, (b) plywood saw blade, and (c) stacked set dado saw blade.